You are here: Home » Blog » Thank you KBTX-TV for featuring the Bryan Broadcasting Cares for Kids Radiothon! Thank you KBTX-TV for featuring the Bryan Broadcasting Cares for Kids Radiothon! “Local radio stations are making preparations for the Annual Bryan Broadcasting Cares for Kids Radiothon in November. 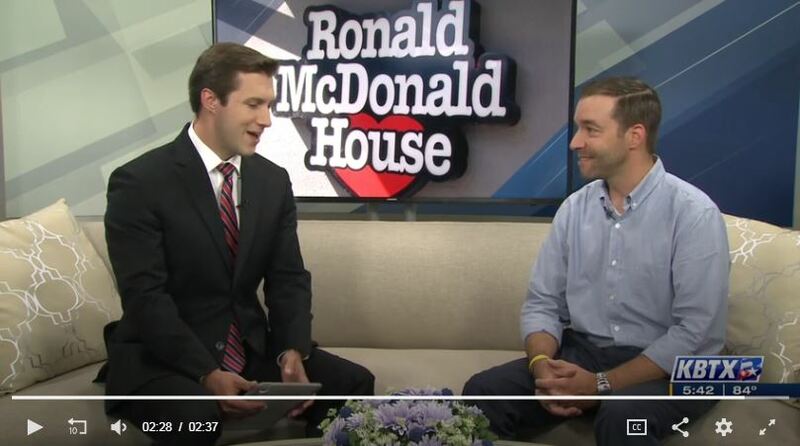 Candy 95, Maverick 100.9, and Peace 107.7 are partnering up with Ronald McDonald House Charities of Central Texas for the annual two-day event. This year’s radiothon is on November 1 and 2 from 6:00 a.m. to 6:00 p.m. There are several hourly sponsorship opportunities available for both drive time, and non-drive time hours.” READ MORE HERE.